You are here: Home › Why Lemurs? Over 100 species of lemurs live in Madagascar—and nowhere else. Lemurs evolved separately from other primates on the Indian Ocean island of Madagascar, located off the east coast of Africa. Madagascar is full of unique landscapes, from limestone pinnacles called tsingy to lush, green rainforests to spiny deserts and impressive canyons. Photo courtesy of Jeff Gibbs. Find out more at www.jeffgibbs.org. Lemurs responded to these landscapes and their variety of food sources by evolving into over 100 unique species, like the ring-tailed lemur with its furry, striped tail, the dancing sifakas that leap sideways through the trees, and the goblin-like nocturnal aye-aye which uses its long middle finger to dig for food. Lemurs aren’t the only critters in Madagascar that are unique. In fact, about 75% of the island’s fauna and flora is found nowhere else! This precious habitat is dwindling, but the Lemur Conservation Network is dedicated to supporting conservation on the ground in Madagascar, so that these species can thrive. Here are some more reasons why lemurs need to be protected. The story of the lemurs begins over 70 million years ago, when lemur-like animals, the planet’s first primates, roamed Africa along with the dinosaurs. Around 65 million years ago, the lemurs rafted across the Indian Ocean to the island of Madagascar on rafts of floating vegetation. Over the next tens of millions of years, the lemurs evolved and diversified on Madagascar into the most varied group of primates on Earth. Some were even the size of gorillas! The arrival of man to Madagascar some 1200 years ago is believed to have caused the giant lemurs to go extinct, but the other smaller species that survived make up the present day lemurs: a stunning array of more than 100 different species, all only found on Madagascar. They are the oldest living primates left in our world, and the last living link to human’s evolutionary past. Countless other plants and animals depend on lemurs for their survival. Lemurs are the creators and maintainers of Madagascar’s forests. Many lemurs love to eat fruit. When they eat fruit, like most animals, they cannot digest the seeds. 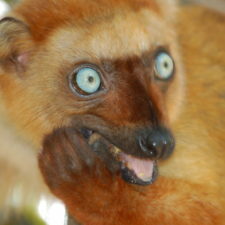 The seeds leave the lemur’s body in their droppings. As lemurs travel throughout the forest, they spread their droppings, spreading the seeds in their own natural fertilizer. Eventually, these seeds grow new trees, providing shelter and food not only for the lemurs, but also for snakes, chameleons, geckos, and even the lemurs’ number one natural predator, fossas. 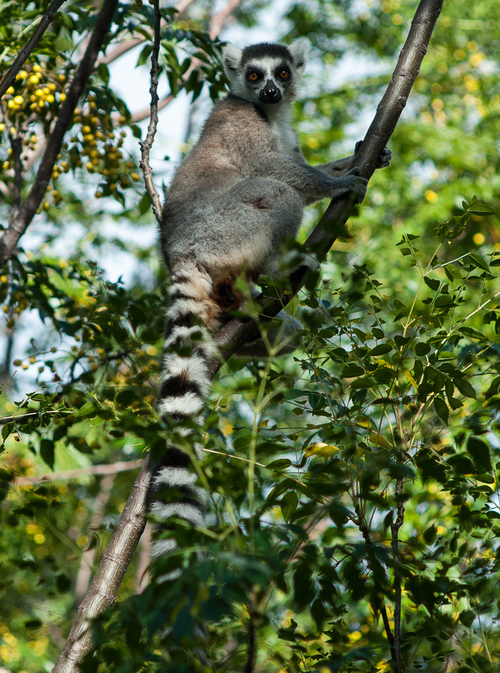 Many conservationists agree that ecotourism is the number one thing that can ensure the survival of lemurs in Madagascar. 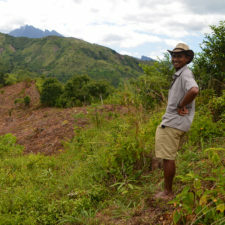 The local Malagasy people need to see that lemurs are more valuable alive than dead. 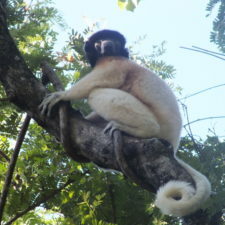 Tourists will come to see lemurs in the wild. Officials say tourism is now a real priority for Madagascar’s new government, which has drastically increased funding to promote the island as an ecotourism destination that can attract up to two million annual visitors by 2020. This would mean millions of dollars for Madagascar’s economy. The Lemur Conservation Network empowers you in our collective fight to protect lemur habitat and save lemurs from extinction! Lemurs are the world’s most endangered group of mammals, and they need everyone’s help to thrive. 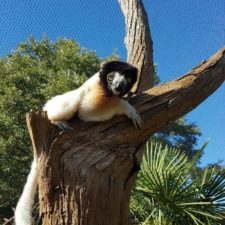 The Lemur Conservation Network raises awareness for lemur conservation and promotes the organizations, research groups, and zoos that work on the ground in Madagascar to protect its unique species. A project of the Primate Specialist Group of the International Union for the Conservation of Nature (IUCN), we have a strong scientific backing, and are supported by Madagascar’s conservation leaders.